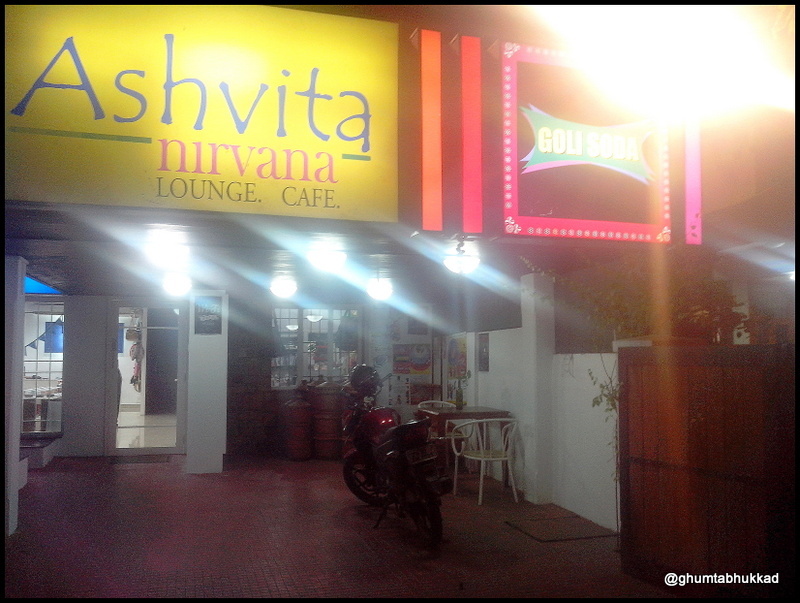 In a quiet lane of 5th avenue Besant nagar, there is this colorful looking place called Ashvita Cafe. 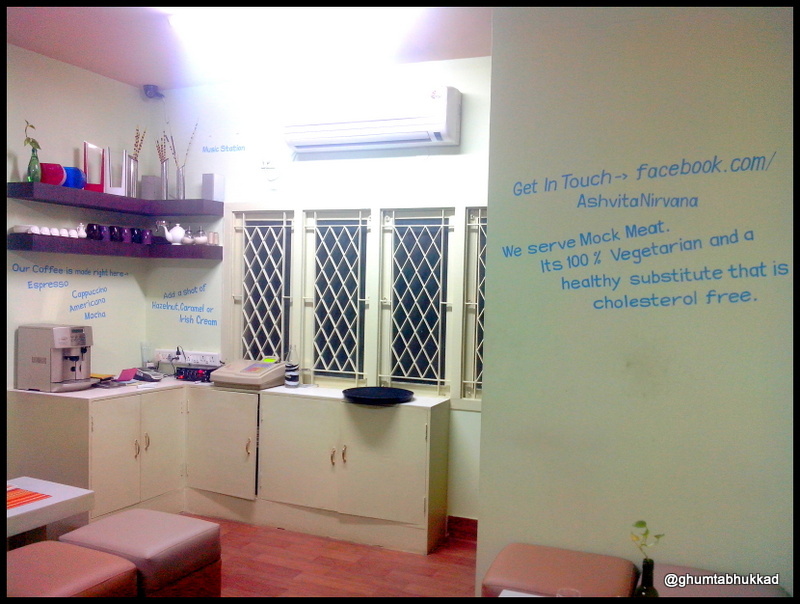 You can spot the board of Ashvita cafe and Goli soda. We wanted to try this place as we came to know that they serve mock meat and being vegetarians, we wanted to try how it tastes here. We went there on Wednesday evening and place was deserted we were the only people. 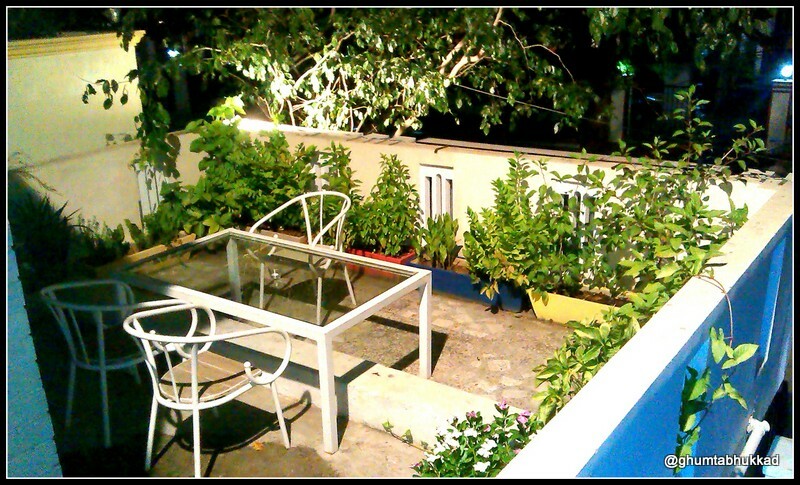 We enquired with the only available host there and he said that it is usually crowded on weekends. Place was beautifully designed , the way to the cafe is from the Goli soda shop on the ground floor where they have a range of product for sale. 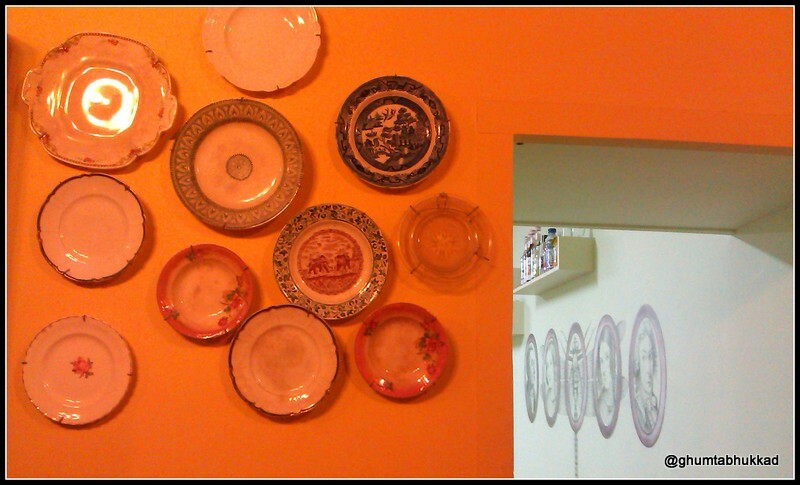 We must say the products were cool ,quirky and funky but it is costly. 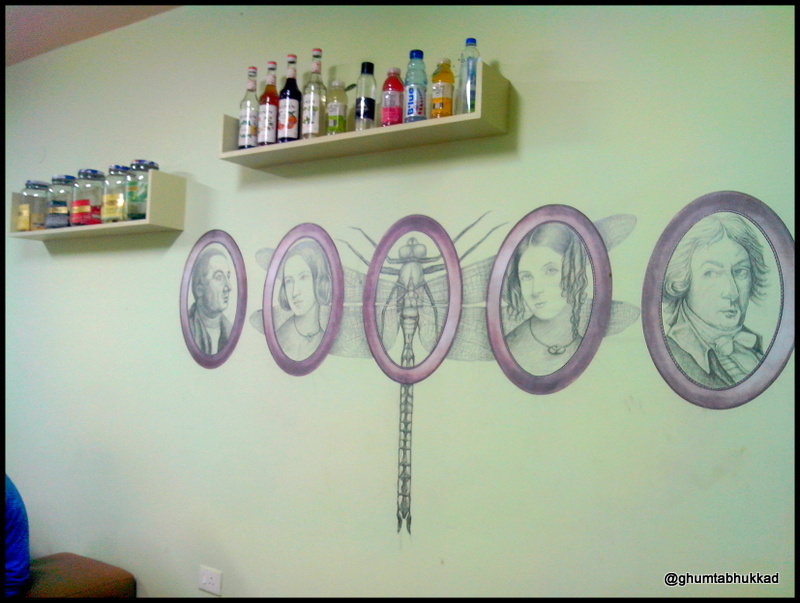 Then we moved towards the cafe which is on first floor, and the first thing you say upon arriving there is “WOW” (Wait. Disappointment is on the way though !!). 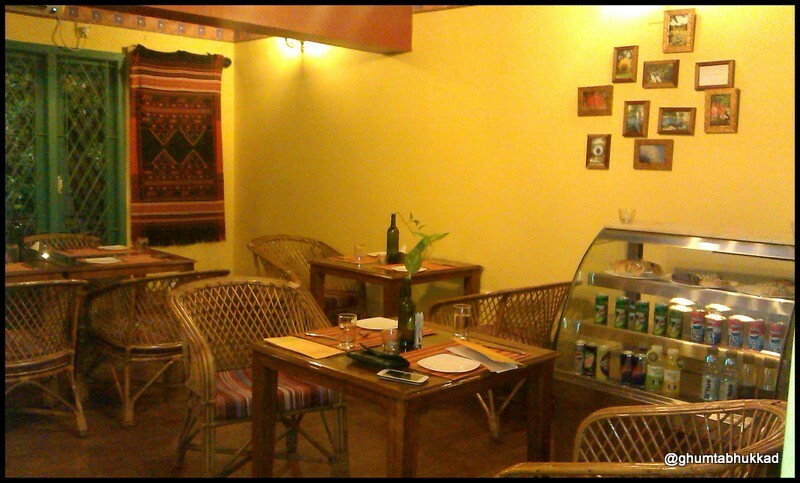 Dining area is divided into two parts one is colorful and funky with board games where you can enjoy your time with group of friends . 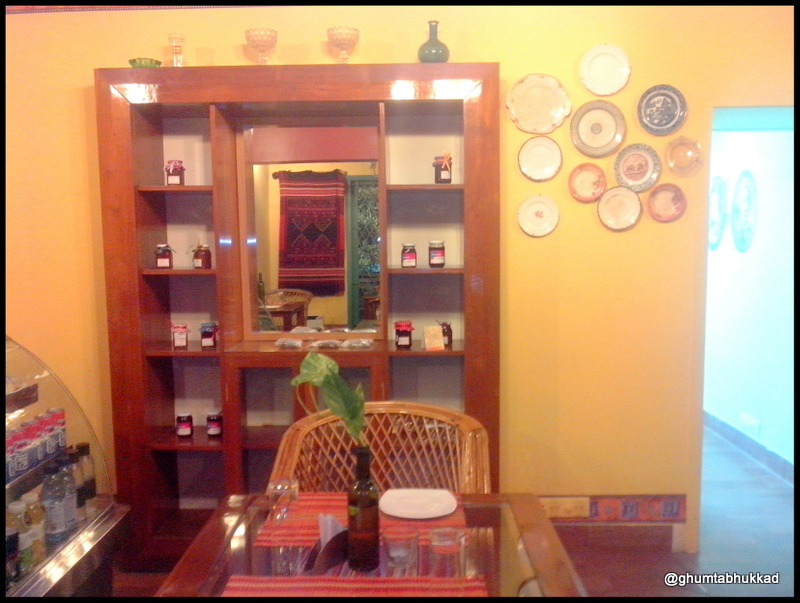 The other part is for a romantic date , the room is painted yellow in color with dim light , Candles on the table ,a crafty glass bottle with a sprig of money plant and with the hangings on the walls will definitely make you fall in love with the place and your company. Once we were done admiring the place we asked for the menu and it was limited ,as we were looking for mock meat there were only 4 variants in it, 3 in chicken and 1 in fish.In addition to it , they were also serving cake shake , milk shakes and appetizers and a limited 3 main course dishes . As we wanted to try the best in of what their menu had to offer , we asked the host to suggest and he said fish fry is the best in mock meat. And after much deliberation and consultation , we finally ordered the fish fry , chocolate cake shake and Potato O’Brien and then When our order came our wow experience quickly changed into a night mare. 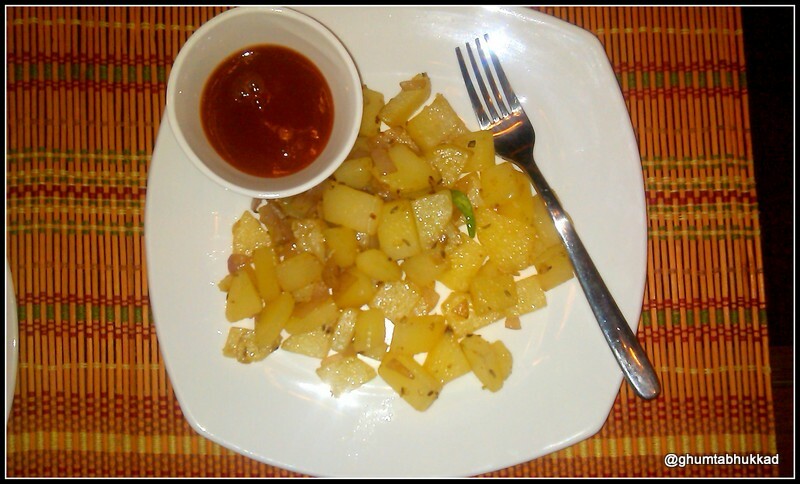 Potato O’Brien : Boiled potato sauteed with onion and cumin seeds (potato was cooked ok ) total disappointment definitely not worth Rs.125. my mom cooks much much better upwas food on pooja days !!! 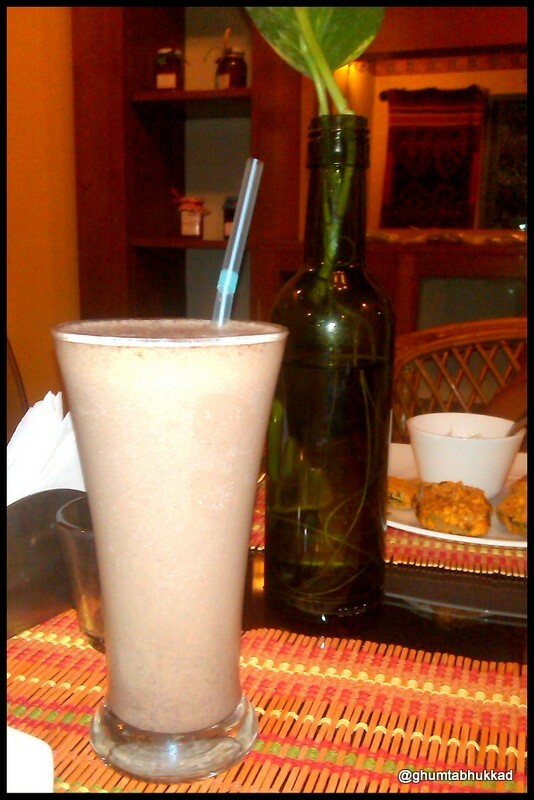 Chocolate Cake Shake : We just wanted to try it because it was something new and it was the only item where we were not disappointment but again it was not worth paying Rs.225 for a very average cake shake. 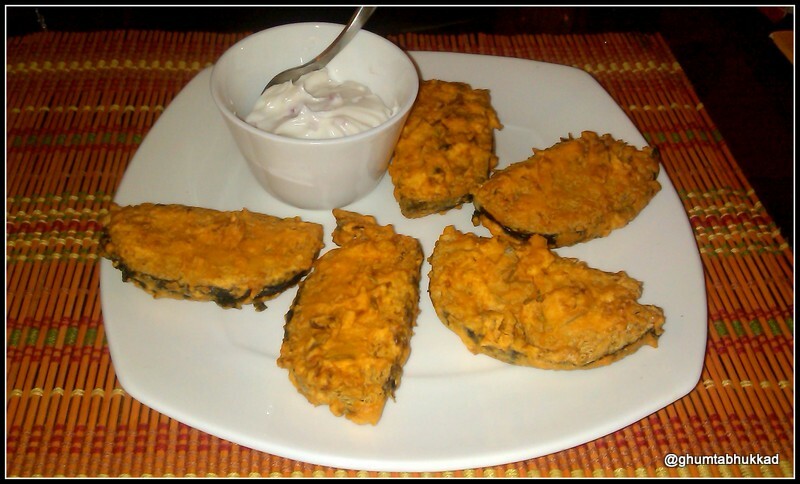 Fish Fry (mock meat) : I dint know it can taste this bad ! Previously I have tried mock meat out side India but this was not up to the mark at all and my other ghumtabhukkad half is a Bengali who turned vegetarian and had tasted fish before said it tasted nothing like the original as not only the smell and taste were weird what irked us is the lack of any seasoning at all, we were not able to finish it after much coercing. 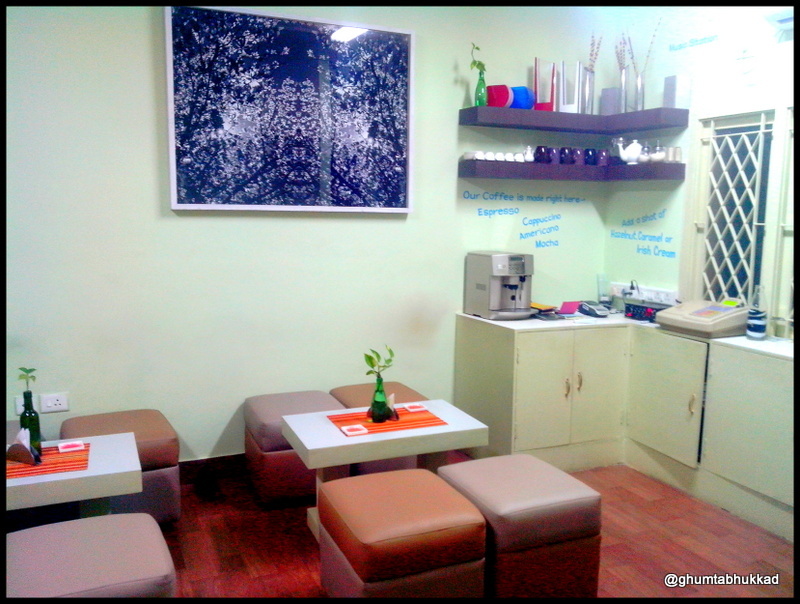 Note : Go only if you want to enjoy the interior and sit in a quite and lovely place with your loved ones you can try some milk shakes or teas at a high rate. 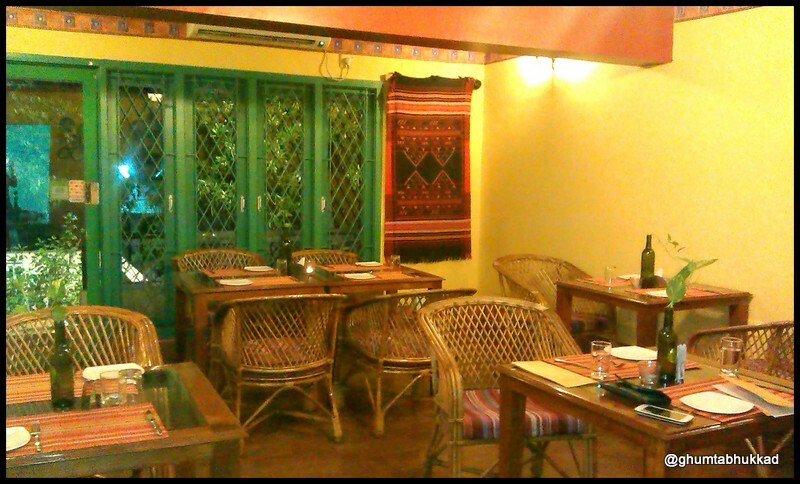 Food was total disappointment but the Place has one of the best interiors in Chennai for some peaceful quality time spending. This is not a paid review. It’s based on our experience of going there and we paid for our own meal.